For startups, early-stage funding is critical to turning the best innovative ideas into products for the marketplace. The Economic Development Partnership of Alabama (EDPA) recognizes that raising capital is not an easy feat for fledgling companies in Alabama, and that there is a gap in funding. In 2006, EDPA, through its EDPA Foundation, created Alabama Launchpad, a private-public partnership to nurture the state’s entrepreneurs and kick start early-stage company development through a Startup Competition, a grant funding mechanism to make small investments to winning companies. In 2014, Alabama Launchpad added another avenue of investing in Alabama companies as a way to increase the success rate and funding of Alabama-based applications to the federal Small Business Innovation Research and Small Business Technology Transfer grant programs. Just as there are several options for early capital from self-fund to angel investment, Alabama Launchpad is providing financial boosts to small companies in different ways. As we celebrate our 10-year anniversary, we are looking back at how the competition has evolved during its history. Held three times a year now, the competition helps startups from the business concept to seed funding. The competition coaches startup teams, to prepare pitches to a panel of judges comprised of entrepreneurs, investors and industry leaders knowledgeable in the complexities of early-stage funding. Startups teams receive mentoring, and finalists are provided free valuable market assessment reviews that evaluate the market viability of the startups. The judges provide customized feedback to finale teams. It’s critical for the startups to have an understanding of what investors are looking for and know how to present their ideas, concepts and products in the best light possible. According to CB Insights, running out of cash was among the list of the 20 most common reasons startups fail. We’re proud to report that Alabama Launchpad has written checks, investing $2.4 million in 51 companies since its 2006 start. We increased the awards from $150,000 in 2006 to up to $750, 000 a year in 2016. A high percentage of Alabama alumni companies have posted revenue, created 365 jobs and secured $24 million in follow-on funding. Alabama Launchpad partners with Greenwood Consulting Group, Inc. (GCGI) to provide the services of the Alabama SBIR/STTR Support Program, which was started in 2014. The program helps small businesses obtain preliminary research data needed to have a successful proposal and assists a first time Phase I or Phase II winner set up appropriate grant compliance for accounting systems. 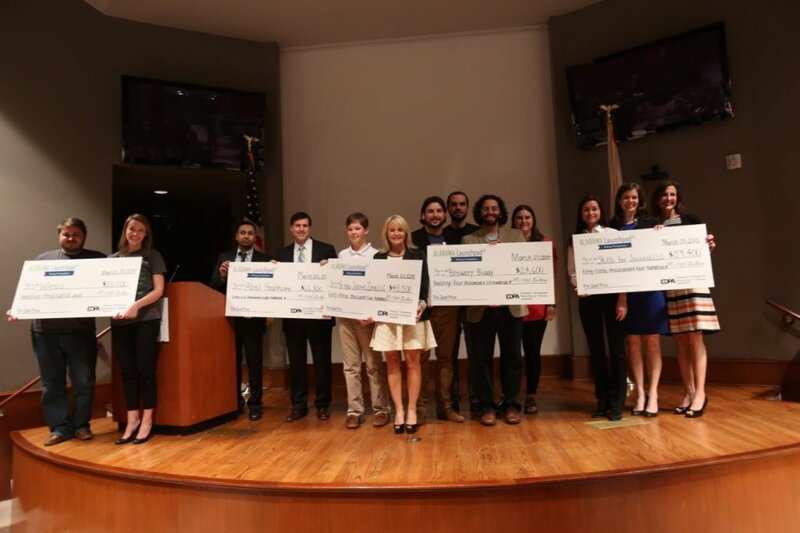 In 2015, Alabama Launchpad awarded $55,000 in Phase 0 grants to assist 11 small businesses across the state boost their chances to get a share of the $2.5 billion in non-dilutive federal funding available to commercialize their products. As Alabama Launchpad has grown during the decade, it stills hold true to providing Alabama’s entrepreneurs access to capital through grants that will help them in the process to launch their small businesses. We celebrate the past 10 years, and we look forward to even more years of helping companies start, stay and grow to keep the jobs they create in Alabama. Click here to check out our startup competition investing success stories. You can find Phase 0 grants success stories here.